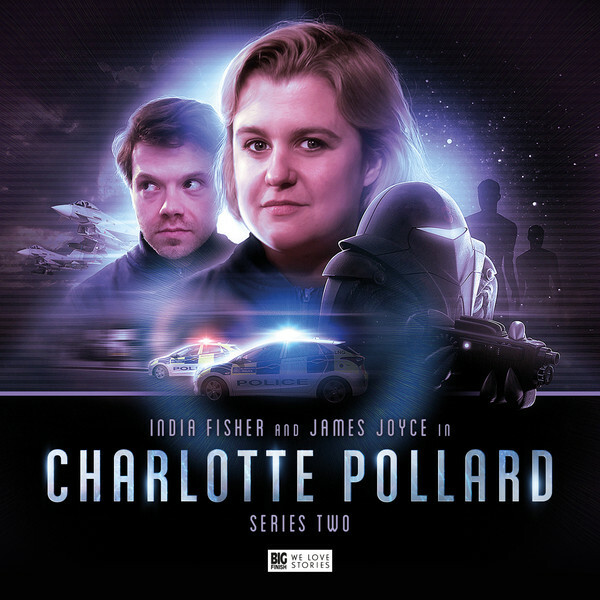 Big Finish: CHARLOTTE POLLARD Series 2 Review | Warped Factor - Words in the Key of Geek. Charlotte ‘Charley’ Pollard has had quite a career as a time traveller. The first in a long line of audio companions of the Eighth Doctor, she went through phases of adoring and then being appalled by her Time Lord, before intending to leave him and then being heartbroken that he instead left her behind, thinking she was dead. Then, breaking ground for the later likes of River Song, she travelled with an earlier Doctor, eventually having herself removed from his memory to make sense of her travels with the Eighth Doctor. After that, she worked for the germophobic Viryans for a long time, her lifespan seemingly expanded through their technologies and cryo-sleep. And in the first box set of her solo adventures, she finally broke free of them too and went whizz-popping round the cosmos with the gusto and enthusiasm that has always made Charley so utterly irresistible. Very much embodying the spirit of happier Doctors (like the Eighth when she knew him), that is Charley Pollard’s MO – enthusiasm, gusto, a thirst for adventure and a way of seeing the universe that can fill you full of bubbles and joy. As the second box set opens, Charley and her new friend Robert Buchan are heading, screaming, towards the cliff-hanger that is The Ever and Ever Prolixity – for which, if you’re new around these cosmic parts, read wibbly-wobbly, time-wimey, swirly-whirly Thing of Probable Death. Minor spoiler alert here, but you probably assumed they were going to survive that particular Thing of Probable Death based on the fact that if they didn’t, this box set would be four hours of screaming and going unattractively squish. But while the first box set had Charley zipping about time and space like a cork from a bottle of trans-temporal champagne, this set brings her very much to a grinding halt for at least three episodes, as she’s forced to deal with the consequences of how and why she survived the journey into the Prolixity, and came to Earth in 21st century London, stumbling, confused although thankfully (and it seems a little unusually) not naked out of Embankment station. Things are…not right at Embankment station. Across the course of the first three episodes, which are less rigorously defined as stories in their own right than they were in the first box set, Charley and Robert are chased by giant indestructible Action Men (one in high heels), rounded up by soldiers working for a shadowy organization that my goodness sounds like Torchwood London without at any point ever being called Torchwood London, get imprisoned in a bank which becomes less a hive of fiscal probity and more…well, more a massacre, to be frank, discover a virus that probably isn’t a virus, find out why Londoners are acting with slightly less empathy even than usual, and name a very unusual Viryan Bertram. The reasons for all this have a modern, Torchwood feel, leading us on stage by stage despite what could feel, in the wrong hands, like quite a lot of padding – Episode 2 in particular has a lot of sitting about waiting to be rescued, and then quite a bit more talking in corridors. But the first three episodes are infused with Charley’s spirit, the highly-evolved Head Girl spirit of ‘carry on, regardless, chaps’ that still makes us want to hear more of her. India Fisher too appears to have a whole garage full of vim and vigour to spare for the Edwardian adventuress still, so more from Charley would always be welcome. With all four episodes written and directed by Nicholas Briggs, there’s less need than usual to dwell on the stylistic idiosyncracies of each individual episode, but suffice it to say that there’s a much stronger sense of dedicated purpose to this box set than there was in Charley’s previous solo adventures, as well as a much more potent sense of the actual, real-world difficulties in which she finds herself – there’s little by way of a get-out clause apart from the one very special Viryan, which is what leads to there being a lot of sitting around waiting to be rescued and then a lot of talking in corridors, but the truth is, there would be if you were in Charley’s shoes too, having to explain yourself to the modern day authorities while Weird Stuff kept on happening around you, so it has a sense of realism to it that makes it very distinctly a Charley Pollard story, rather than a Doctor Who story. There’s quite a busy cast-list of distinctively-voiced characters to deal with in this box set, including Kieran Hodgson’s Woking, the military man of mystery, Rachel Atkins’ nameless Minister (who gives good cynicism throughout), Deirdre Mullins’ Irish-lilting and gloriously-swearing news anchor Naomi Davies and Ashley Kumar’s streetwise hacker extraordinaire, the mononomic Rab. Not for nothing, we love Naomi and Rab – more please, Big Finish. This pair have the kind of relationship that could make them a modern Jago and Litefoot, investigating the uncanny, her with her journalistic instincts, him with his computer savvy. There’s also, in a change to our advertised programming, no Michael Maloney as the Viryans. That’s of course a shame – Maloney helped make them a Big Finish reality, but stepping into the Viryan costume is Dan of a thousand voices and Emperor of the Sontarans, Dan Starkey. Given the Viryan that features heavily in this box set is particularly odd (we mentioned he’s called Bertram, yes? ), the change, while of course noticeable, doesn’t feel like an enormous jolt, and Starkey gets to give us his HAL voice into the bargain. While there’s plenty of action and mayhem and talking in corridors and London going slightly more mad than usual, Charley and Robert also get to have more by way of physical intimacy than is common for Classic Who companions (Benny for the moment excepted), and Charley very much takes the lead in their adventure, essentially training him up in her gung-ho spirit of spatio-temporal adventuring, and encouraging him to be less bladder-shatteringly terrified of everything he encounters. In essence, she’s seeing whether he’s got what it takes to be her kind of adventurer, and her kind of man, across the course of the box set, and it’s not until Episode 4 that we discover the answer. So – with every hope in the world, here’s to the eventual arrival of Charley Pollard, box set 3. After this set, you’re going to feel like you need it, and that Charley deserves it too.